On 21st May 2018, Prof. Dr Volkmar Brückner concluded his training which had been going on since a number of weeks ago. The last session of his training mainly focused on briefing students on what telecommunication is all about. 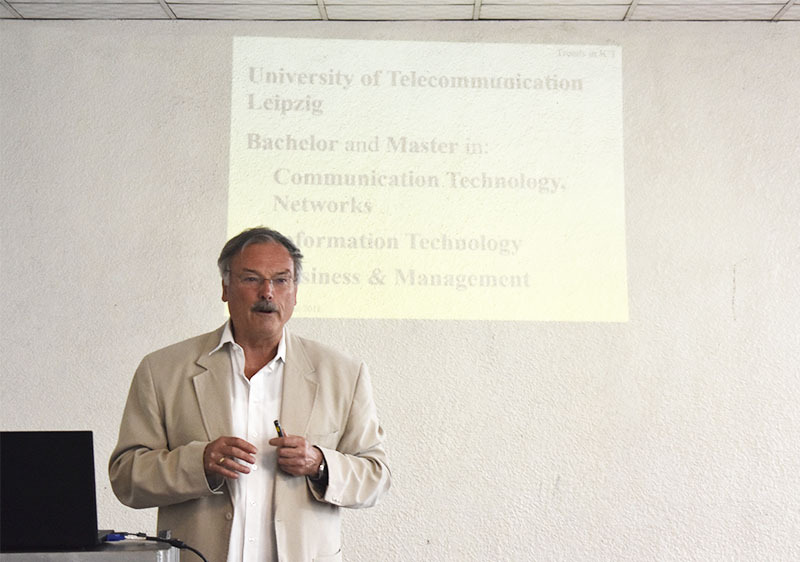 Prof. Dr. Volkmar Brückner is a German national who specialized in the field of telecommunication, and he is a member of SES (Senior Expert Service). The presence of this expert at ULK Polytechnic was in line with the MoUs this institute has signed with some Germany academic institutions which enable both sides to collaborate academically. In this perspective, Prof. Dr. Volkmar Brückner has been training ULK Polytechnic instructors so that in return they would also train their students with complete and unquestionable skills. Using a well prepared PowerPoint presentation, Prof. Dr. Volkmar Brückner showed how various electronic devices work. At this point, he left the audience looking in awe when he revealed the wonders behind the functioning of radios, televisions, telephones and many other electronic devices. Actually, many people with little or no knowledge of telecommunication think that sending messages using electronic devices is a walk in the park yet it passes through numerous ways for the message to be fully transmitted. Along his presentation, the speaker warned the students to pay much attention to information shared using internet as such information may be stolen or used by unauthorized people. “You should learn more about cryptology to better know how hacking is done for its prevention. Again, you need to be careful when you’re texting your friends or posting information on social media because it might be hacked. Hackers are always there waiting for what to hack. So pay heed in whatever you write”, he cautioned the students. Since Prof. Dr. Volkmar Brückner wowed many participants through his presentation, a stream of participants expressed their desire to ask questions when the floor was opened to them for this particular purpose. It was after satisfactorily attending to each and every question that the function came to a close. Asked about the benefits got from the training, Mr. Patrick KAYIJAMAHE, the Head of Department in ULK Polytechnic, said that numerous benefits have been registered. 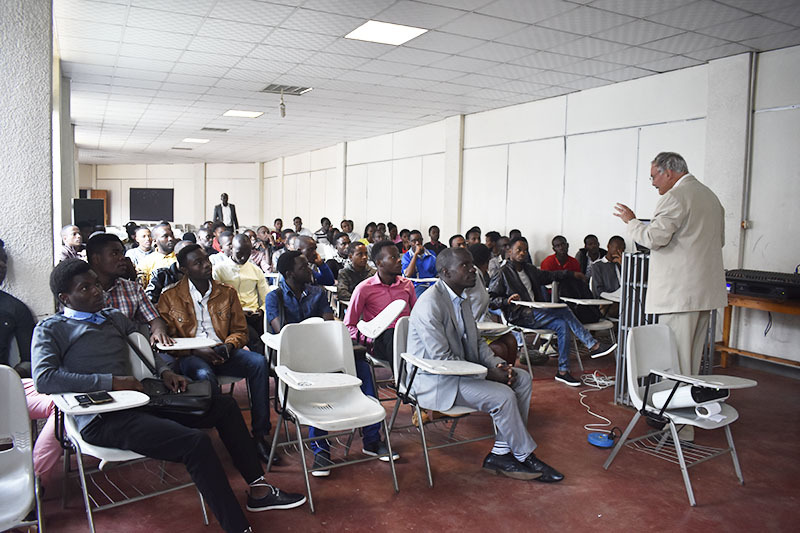 As this academician gets ready to fly back to his home country, there is hope that many others will continue to jet into the country for sharpening the minds of instructors and students in ULK Polytechnic because capacity building is an endless process. One would therefore salute the initiative by the management of ULK Polytechnic which never ceases to think about what could take the institution to another level. Indeed, it is this visionary leadership and pro-students initiative that makes students live to see their academic dreams coming true.